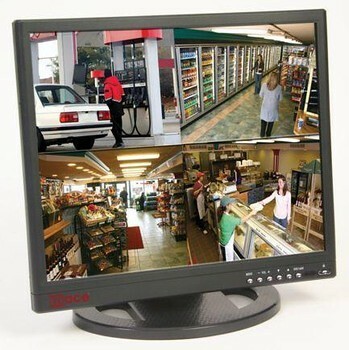 Less than 20% of homes in the United States actually have home security systems installed. Which is very shocking, because if your home doesn’t have a home security system installed, it is 300% more likely to be broken into. Even with knowing how much a home security system can help to prevent break ins, that still isn’t enough to get the other 80% of us to get a system installed in our homes. So, if the added prevention of a break in or home invasion isn’t enough for you, let me give you a few more reasons why you should purchase an alarm system. Yes, your home already has smoke alarms. So why would you need your home security system to provide you with smoke alarms? Because the smoke alarms you receive with your home security system are monitored. 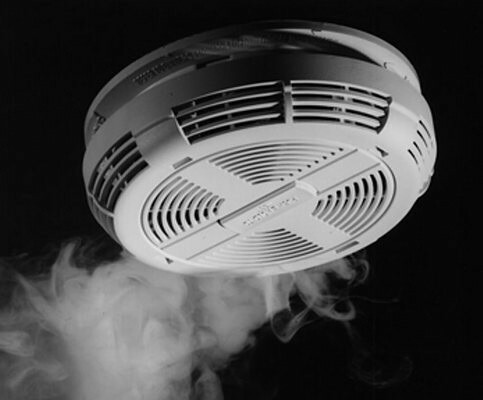 Your current smoke alarm will sound off a loud alarm if it senses smoke. But with a monitored smoke alarm that comes with most home security systems, not only will a loud alarm go off, but since these alarms are monitored by the same company that monitors your home alarm, they will be able to notify the fire station for you right away. That way, you can focus on getting your family out of your home safely, knowing that there is help on the way. On many of the home security system keypads, it includes an emergency medical help button. This is a button you can press that will immediately get you connected to a professional medical responder. If you have a medical emergency in your home (someone swallowed bleach, someone has a severe burn, you need to give someone the heimlich maneuver, etc), you can push this button and immediately be able to ask any questions you need to ask. This cuts out any middlemen and gets you to someone who can help you with your specific medical concerns right away. 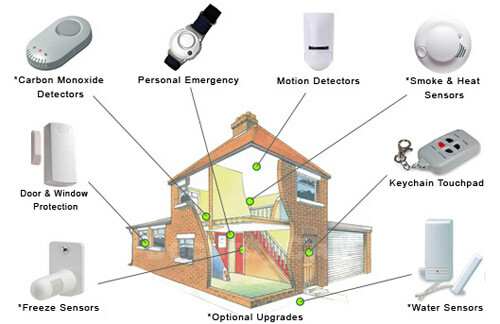 Every home security system can help you monitor the opening and closing of exterior doors, windows, etc. But some home alarm systems can even notify you when other interior doors are opened, including gun or liquor cabinets, medicine cabinets, etc. This makes it so that you are not only protecting your home from outside intruders, but you are also able to protect your family and small children from getting access to harmful items or substances that they shouldn’t. 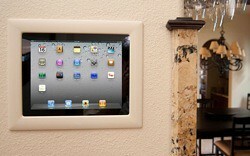 Nowadays, many home security systems also have home automation features included. This allows you to lock doors, turn on and off lights, set your thermostat, etc, all from one simple device. Many home security companies even have smartphone apps for their home automation systems that allow you to control all of these devices from your phone, even when you are away from your home. And many times these home automation systems from your home security company are much more affordable than if you were to try to get them from a home automation company. 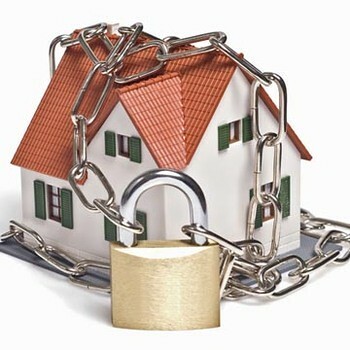 Did you know that if you have a home security system that you are entitled to discounts on your home insurance policy? It’s true, most home insurance providers offer discounts, sometimes large ones, to their customers who have home security systems installed in their homes. So this saved money is just another benefit of having an alarm system in your home. Nicole is a writer for the reviews section on besthomesecuritycompanys.com. See their picks for the best home security companies. The Perks Of Having An In-Ground Swimming Pool How to build an energy efficient house?